Handling all your maintenance and service needs for your Honda! Renaldo Honda in Shelby, NC, close to Gastonia, NC and Gaffney, SC, offers a massive inventory of new and used vehicles with competitive prices and great service. Our number one goal is to make you feel like part of the family both while you’re in the dealership and long after you’ve walked out the doors. From the moment you arrive, our helpful salespeople will assist in finding you the car of your dreams. After your test drive, the expert finance team can find you great deals and explain all of the detailed information. When it comes time for routine maintenance or repairs, you’ll love working with our professional service department. They operate quickly and will treat your vehicle as if it were one of their own. We strive to create a customer service experience that keeps you coming back each time you need a new Honda. Visit us today to find your next vehicle! There’s nothing more exciting than being the owner of a brand-new car, and Renaldo Honda in Shelby, NC, near Gastonia, NC and Gaffney, SC, has a great lineup of options. No matter what you’re looking for, there’s something for everyone in our new Honda inventory. Our 4-door sedan offerings provide form and function. Choose from great vehicles like the Honda Accord or Honda Civic. You can also go eco-friendly with one of our hybrid or electric choices, including the Honda Insight, Honda Accord Hybrid, or Honda Clarity Plug-In Hybrid. Hatchbacks provide more cargo area than a traditional sedan while also looking great, and you can get one for yourself by opting for a Honda Fit or Honda Civic Hatchback. If you need more space and capability, our lineup of CUVs and SUVs is perfect for you. Check out the Honda HR-V, Honda CR-V, Honda Pilot, or Honda Passport. You can also go with a powerful Honda Ridgeline pickup truck or have ample seating with the Honda Odyssey minivan. Whichever you choose, we offer great pricing specials and incentives that are sure to make your wallet happy. Purchasing a certified pre-owned (CPO) vehicle from Renaldo Honda in Shelby, NC, close to Gastonia, NC and Gaffney, SC, is a great option for those looking for a high-quality vehicle without the price tag of a new car. All CPO models in our inventory will meet rigorous HondaTrue standards. They’ve passed a thorough 182-point inspection, are less than six years old, and come with a 7-year/100,000-mile Powertrain Honda-backed Limited warranty. Check out our many available certified pre-owned Honda vehicles online, and then stop by to take a test drive. 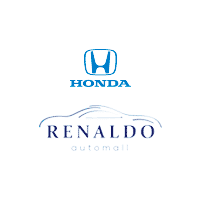 Here at Renaldo Honda in Shelby, NC, near Gastonia, NC and Gaffney, SC, we are proud to offer an extensive range of used vehicles from many different manufacturers. You can look through all of our options online from the comfort of your own couch or come visit the showroom to see them in person. Keep in mind that many of these wonderful options come with our Signature Certified Limited Warranty and have passed a comprehensive 119-point inspection. This means you can rest easy each night knowing your new-to-you vehicle runs beautifully. Purchasing your new vehicle should be as worry free as possible, so at the Renaldo Honda Financing Center in Shelby, NC, close to Gastonia, NC and Gaffney, SC, we’ll help you every step of the way. Our skilled team will help find you great loans or leases, low interest rates, and monthly payments that won’t break your budget. We even offer excellent virtual tools like an online finance application, a monthly payment calculator, and a trade-in estimator, so you can start looking at your options from the comfort of your own home. Don’t forget that we offer many fabulous specials on our inventory, so you’ll be able to drive home the car of your dreams at an affordable price! A new car is a big purchase, so it’s only reasonable that you want to keep it in great running shape for a long time. The Service Department at Renaldo Honda in Shelby, NC, near Gastonia, NC and Gaffney, SC, is on hand to provide excellent maintenance and factory-made parts. From routine service visits like oil changes or tire rotations to larger engine or transmission work, our skilled mechanics are here to help. They’ve been thoroughly trained and are able to diagnose problems and get them repaired efficiently. We even offer a convenient online scheduling tool, as well as flexible hours that accommodate your hectic daily schedule. If you’re working on an at-home repair or restoration project, we carry a large inventory of OEM Honda parts. Order parts online or stop by so we can help you find the perfect fit. Renaldo Honda’s primary concern is to send you home in the car of your dreams at a great price, while also providing an unforgettable customer service experience. Browse through our website to find your next new or used vehicle, fill out our online finance application, and then come visit our showroom, located at 4421 E Dixon Blvd, Shelby, NC 28152, close to Gastonia, NC and Gaffney, SC so you can drive home the Honda you’ve been waiting for. We can’t wait to see you!